The Trouville, Long Beach, L.I. 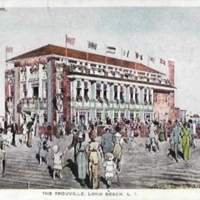 View of the Trouville hotel and restaurant, with a large crowd of people on the boardwalk. Message and addressee information, both handwritten, on verso.